This article is 596 days old. windsoriteDOTca will be providing weekly beach reports every week, all summer long. We will let you know which beaches are safe for swimming, and those that are not. Beach sampling will take place every Monday. If the beach is closed due to high E. coli levels, the beach will be resampled on Thursday of the same week. 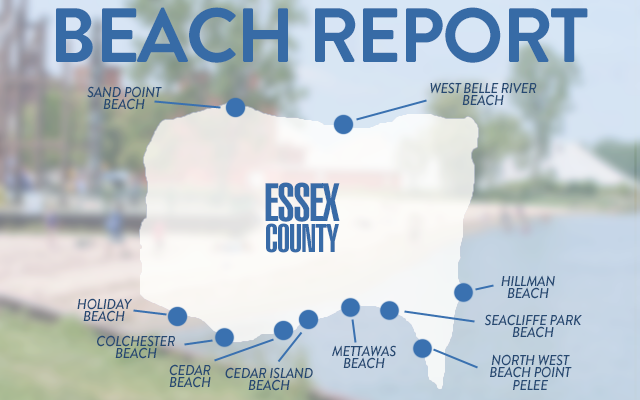 Swimming is not recommended at Colchester Beach, West Belle River Beach, Hillman Beach and Seacliff Beach.